There are several important things you should know to manage organization documents properly and this requires asking several questions to get the best results. What is the volume of used documents for the organization? It is necessary to know the size of the documents of the organization to use the appropriate document management system where there are many systems to suit different sizes of organizations, activities and the number of employees and customers as well. 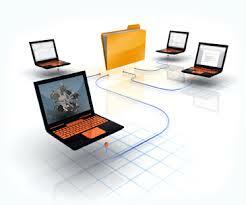 Do you need to classify files and documents? Organization works include a number of documents and files that need often to be classified and indexed to avoid the loss of documentation and data penetration, and keep it confidential. How to improve customer service through the Document Management? The new document management helps to improve customer service, where the use of systems that help the client engage in all contracts, procedures and update data remotely without the need to move, only the user or employee or client using specific password to gain access to documents for adding or editing. What are the best ways of the management to facilitate workflow? There are developed methods of document management that facilitates workflow and those software used recently are considered to be one of the important methods, which increases productivity, the quality and speed of completion for the work. What is the right time to change the document management system? With the development of business and changeable activities of the organization, documents management needs to a holistic or partial change and this requires knowing the needs of workers and choosing the right time to carry out the development of the systems or replace it with different one. Each organization manages documents in a different way and this way depends on the needs of the organization and staff, so responsible employees should ask some important questions that will help for choose the right system to manage and achieve the goals of organization and to gain customer satisfaction through improved and facilitate services.